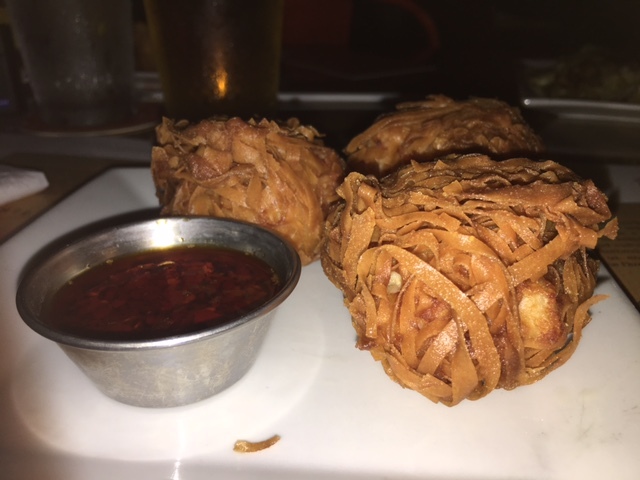 Central Florida-based Hawkers Asian Street Fare has rolled out its summer rotation of new menu items, a seasonal ritual that changes out 10 percent of the menu with a fresh lineup of pan-Asian creativity. 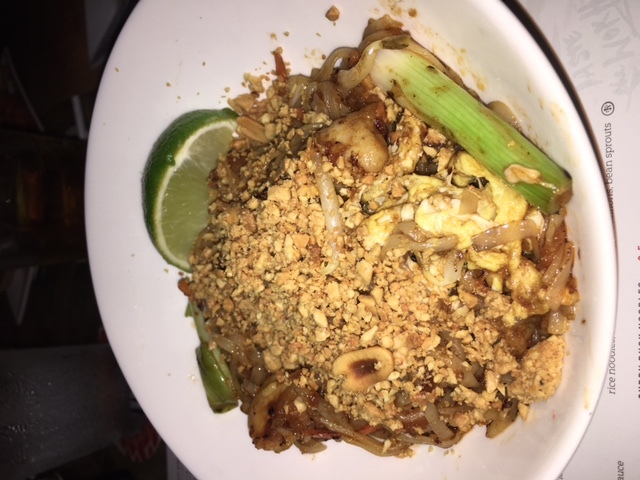 Seeing as I hadn’t been back to Hawkers since my review of the then-new Jacksonville location for the Florida Times-Union in April 2014, it’s been entirely too long. 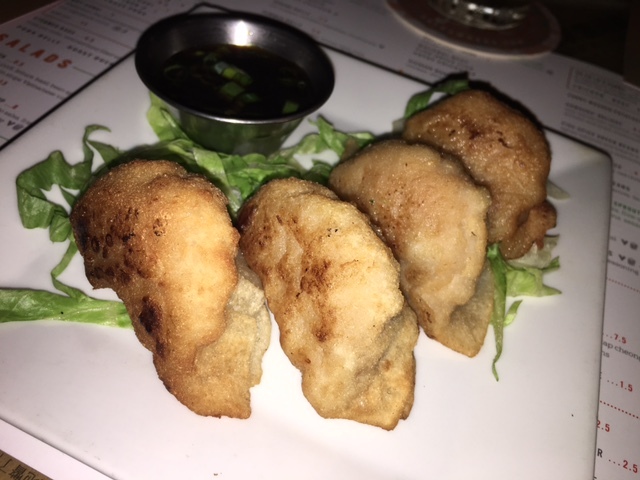 I took up an invitation to stop back by the Five Points location on Park Street last Tuesday night to snag a few small plates. One thing I love about a concept like Hawkers—aside from the fact it started in my hometown—is it’s a place to experiment, to learn about different cultures and appreciate culinary traditions different from your own. A place to broaden mind and palate, if you will. 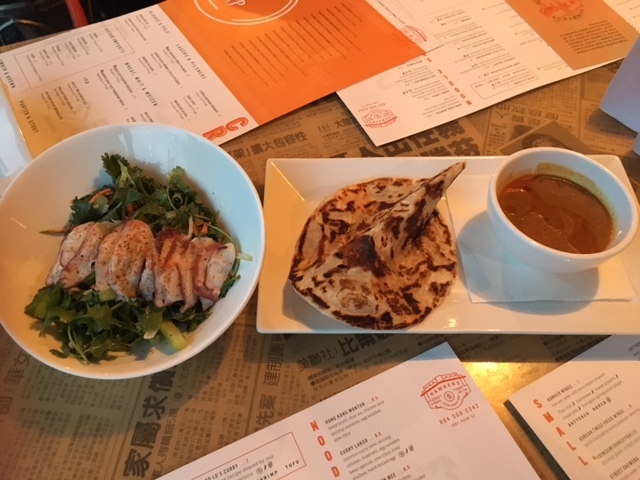 Hawkers curates the best of traditional Chinese and other Far East street food and, like the food markets, dishes them out in small plates built for sharing. Some items will sound familiar, but (happily) plenty won’t. 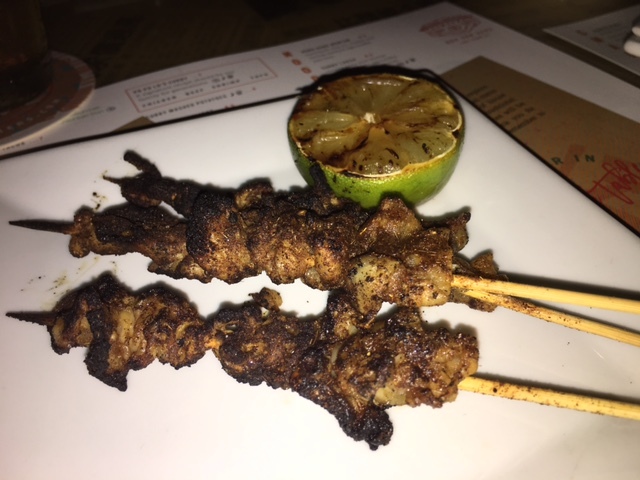 The menu tasting featured 10 new and tried-and-true offerings. 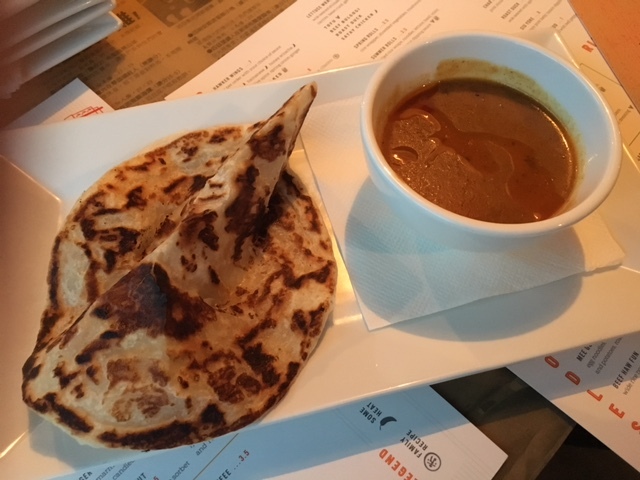 For starters, don’t miss the Roti Canai ($3), a Malaysian flatbread served with a red curry dipper. Fold it up, close your eyes and you’ll swear you’re eating a flaky croissant in a Parisian bakeshop. Hyperbole notwithstanding, it really is that good. 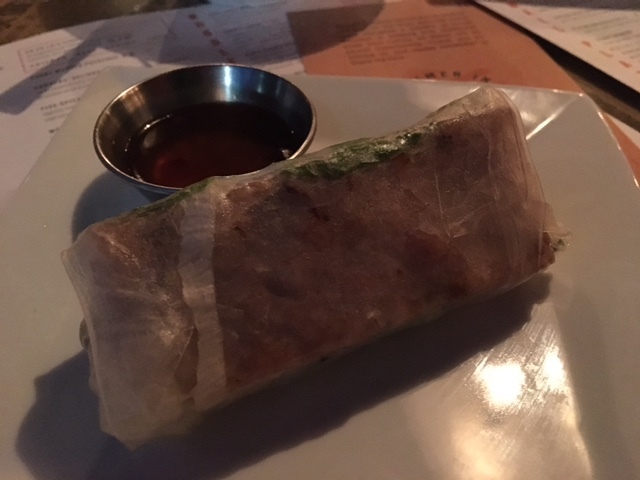 The ‘Nam-Nom Rolls ($6.50) are a study in contrasting textures, with a traditional crunchy spring roll fresh with chilled veggies married to a meaty chicken sausage. It’s a lot of sensations, all wrapped up into one roll, and it may take a little getting used to. But it’s a delight. For something a bit lighter, give the Tiger Salad ($8) a try. 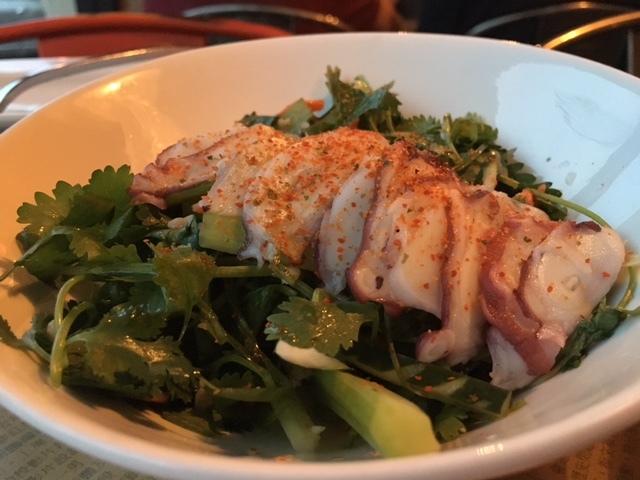 This crazy-fresh and light northern Chinese delicacy tosses cilantro, carrots, green onions, celery and cucumber with poached octopus in a rice wine vinaigrette. 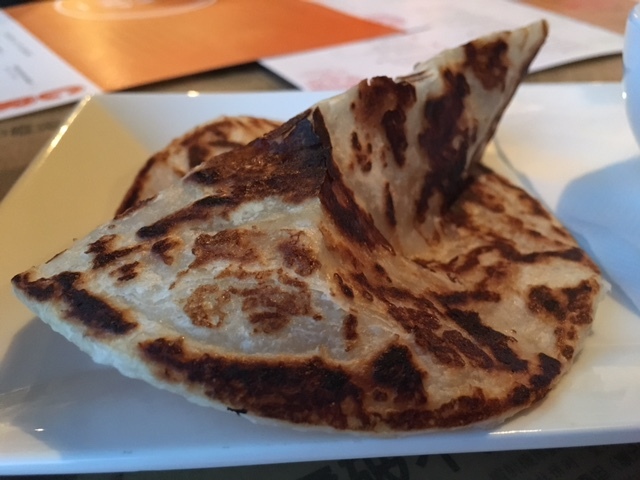 If you’re apprehensive about the O-word, take heart: the meat had all the consistency and texture of a finely sliced grilled breast of turkey. For real. Years ago I hosted a “Spaceballs” movie party at my house and invited guests to bring circular foods—meatballs, rum balls, you get it. I wish the Dim Sum Crunchy Balls had been around back then. These steamed-then-fried crab-and-pork-with-tempura creations were like golden porcupines – lots of crunchy strips of tempura going this way and that, giving way to an almost-creamy center mixture of that crab and pork. 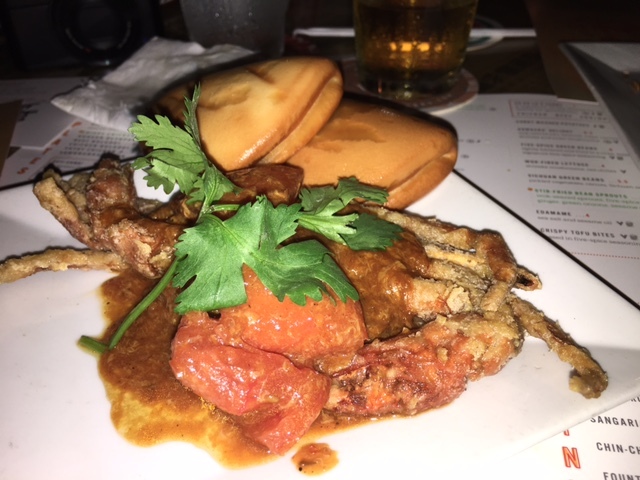 Soft-shelled crab fans should dig into the Singapore “Chilli” Crab ($9.50), a standard soft-shelled doused in a homemade chili garlic sauce, a ruddy tomato puree-based creation perfect for dipping with a pair of fried bao buns on the side. 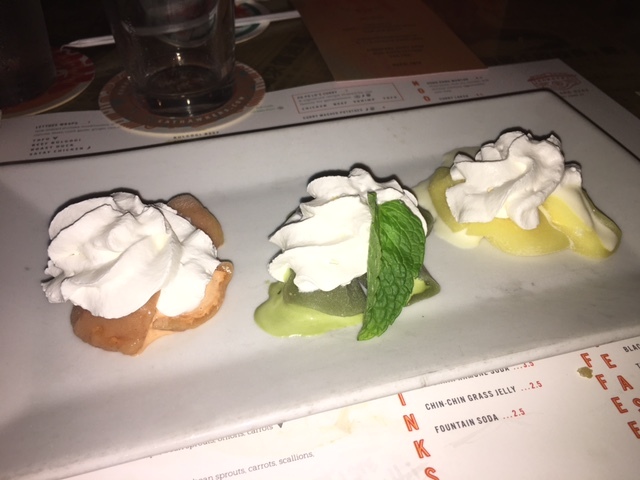 Finally for dessert, fans of mochi ice cream will love the Mochi Trio ($7.50), a petite sampling of lychee colada, green tea and Thai tea flavors, all topped with a slight dollop of whipped cream. The 6-year-old microchain, which also has outlets in Neptune Beach, Orlando and St. Pete, is planning an expansion to Windermere—at Conroy and Apopka-Vineland roads—in November. Then it’s up to Atlanta’s Old Fourth Ward for an outlet near the BeltLine in March 2018.